Aeromonas veronii is a Gram-negative, rod-shaped bacterium found in fresh water and in association with animals. It can be a pathogen of humans and a beneficial symbiont of leeches. In humans A. veronii can cause diseases ranging from wound infections and diarrhea to septicemia in immunocompromised patients. Humans treated with medicinal leeches after vascular surgery can be at risk for infection from A. veronii and are commonly placed on prophylactic antibiotics. Most commonly ciprofloxacin is used but there have been reports of resistant strains leading to infection. In leeches, this bacterium is thought to function in the digestion of blood, provision of nutrients, or preventing other bacteria from growing. Methicillin-resistant Staphylococcus aureus (MRSA) refers to a group of gram-positive bacteria that are genetically distinct from other strains of Staphylococcus aureus. 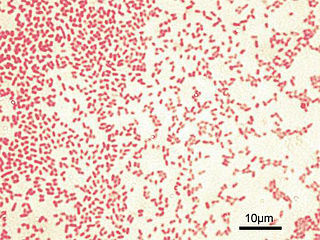 MRSA is responsible for several difficult-to-treat infections in humans. MRSA is any strain of S. aureus that has developed, through horizontal gene transfer and natural selection, multiple drug resistance to beta-lactam antibiotics. β-lactam antibiotics are a broad spectrum group which includes some penams – penicillin derivatives such as methicillin and oxacillin, and cephems such as the cephalosporins. 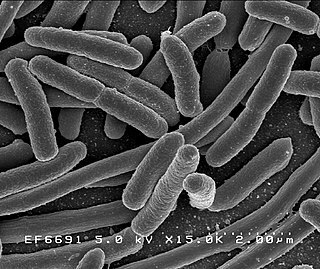 Strains unable to resist these antibiotics are classified as methicillin-susceptible S. aureus, or MSSA. Aeromonas schubertii is a Gram-negative, rod-shaped bacterium. Its type strain is ATCC 43700. It is differentiated from other species by not metabolising D-mannitol. 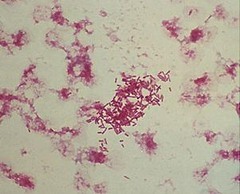 It is resistant to ampicillin and carbenicillin and susceptible to most other agents. It causes infection in several species, including humans and Channa argus. ↑ "Genus Aeromonas". List of Prokaryotic Names with Standing in Nomenclature. Retrieved 16 November 2016. ↑ F. W. Hickman-Brenner; K. L. MacDonald; A. G. Steigerwalt; G. R. Fanning; D. J. Brenner; J. J. Farmer III (1988). "Aeromonas veronii, a new ornithine decarboxylase-positive species that may cause diarrhea". Journal of Clinical Microbiology . 25 (5): 900–906. PMC 266114 . PMID 3584425. ↑ Whitaker, Iain S.; Kamya, Cyril; Azzopardi, Ernest A.; Graf, Joerg; Kon, Moshe; Lineaweaver, William C. (2009-11-01). "Preventing infective complications following leech therapy: Is practice keeping pace with current research?" (PDF). Microsurgery. 29 (8): 619–625. doi:10.1002/micr.20666. ISSN 1098-2752. PMID 19399888. ↑ Patel, Ketan M.; Svestka, Michael; Sinkin, Jeremy; Ruff, Paul (January 2013). "Ciprofloxacin-resistant Aeromonas hydrophila infection following leech therapy: A case report and review of the literature". Journal of Plastic, Reconstructive & Aesthetic Surgery. 66 (1): e20–e22. doi:10.1016/j.bjps.2012.10.002. PMID 23084650.